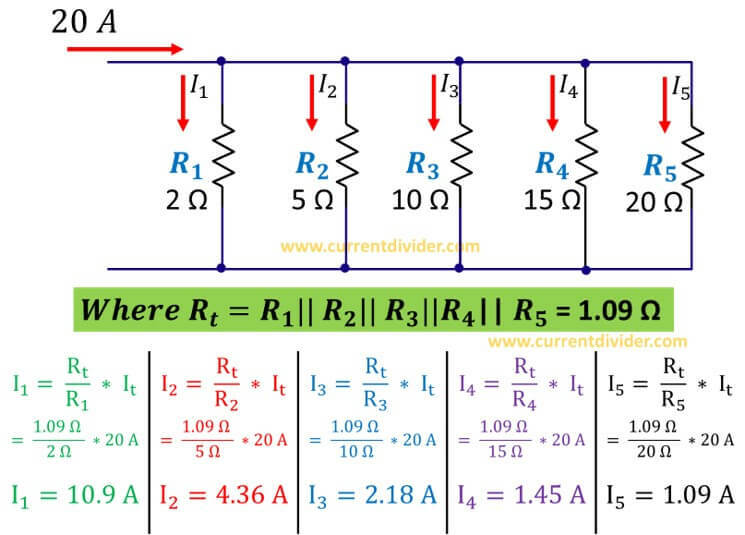 The current divider rule is used to calculate the divided current that flows through the parallel resistors. 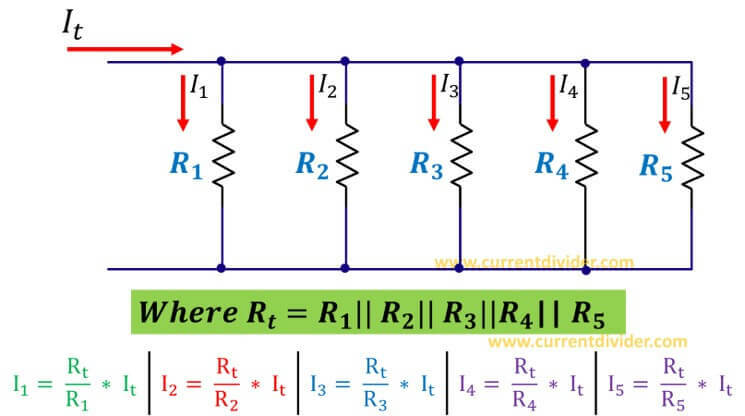 Today you'll learn the application of current divider in five parallel resistor circuit. Let's consider a parallel circuit with five resistors. Find the equivalent resistance of the circuit. 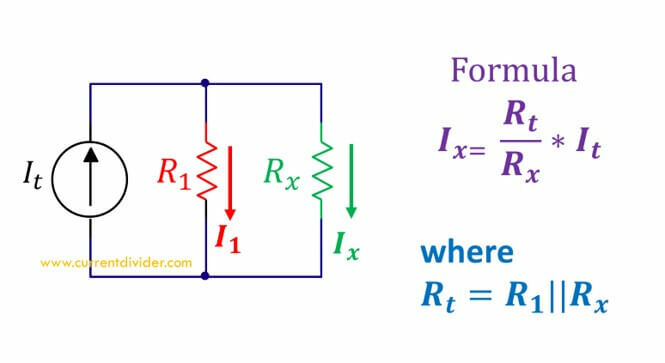 Apply the general formula to individual resistors. Let's solve an example to better understand this. Example 1: Five resistors of 2 Ω, 5 Ω, 10 Ω, 15 Ω, and 20 Ω are connected in parallel. Find the current flowing through each resistor when the input is 20 A.